Melissa Doron was born in 1976 in Houston, Texas. She studied Art at Fairleigh Dickinson University in New Jersey and received her BFA in 2000. Doron is a colorist who celebrates the subtle, natural beauty of ordinary scenes in a way that is both intense and dramatic. She paints mostly in oil and has a diverse portfolio - from brilliant beach and forest landscapes to abstract color works. Doron has travelled extensively internationally and is noted for her bold use of color, the world over. Much in demand for commissioned artwork, Melissa Doron has completed paintings for Luby’s Restaurants, Companies International, and murals for numerous schools and dozens of homes in the Houston Area. Melissa’s paintings sell quickly, appealing to those who love landscapes and of course, her use of color. Doron is also well known for her use of 5 stars in her landscapes, noting one for each member of her family. Melissa Doron is very active in community service and her art has benefited more than a dozen charities and schools which used the art for auctions to benefit the children of Houston. Melissa Doron owns Davis & Company, a Contemporary Fine Art Gallery and lives in the Spring area. 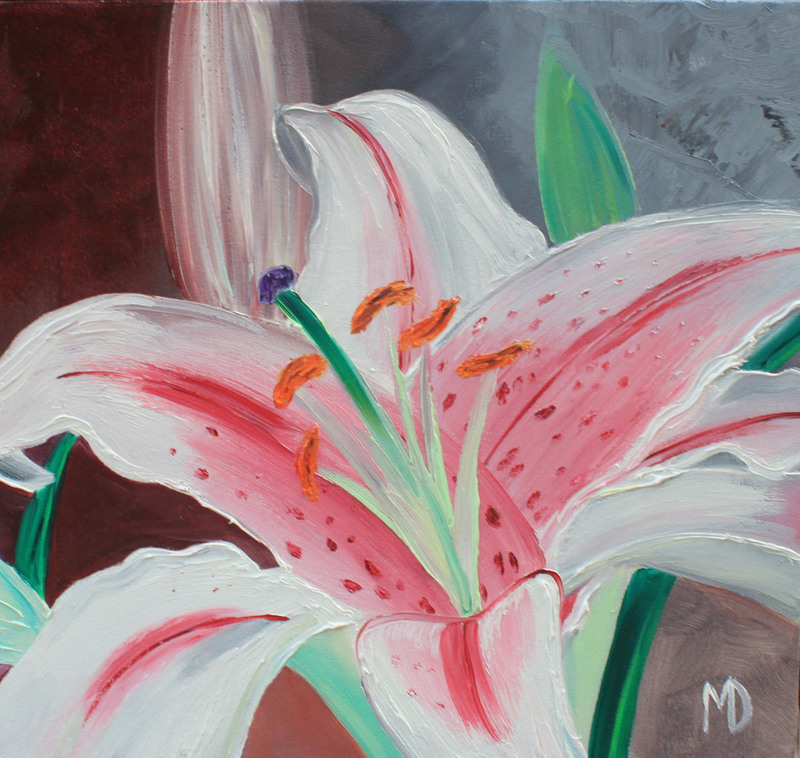 Click here to shop for still life by Melissa, here for animals, or here for waterscapes.